Lights! Camera! Action! 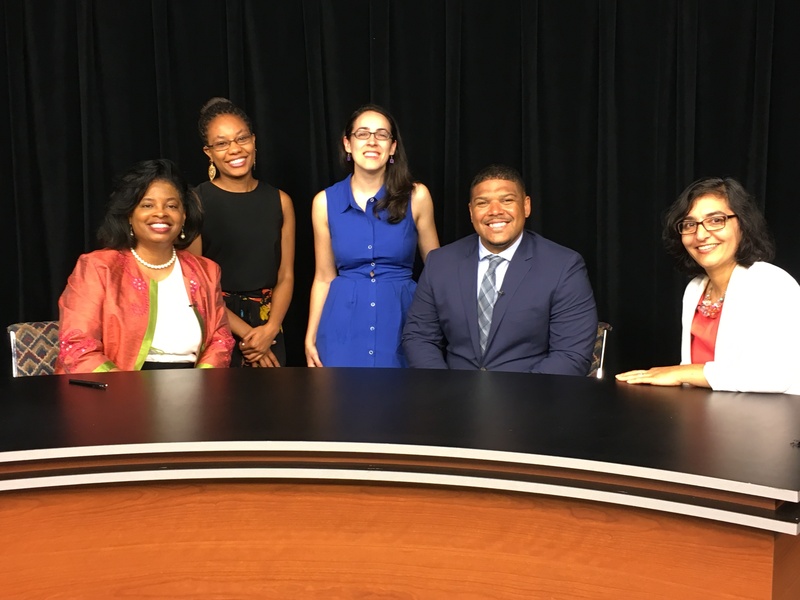 The latest In Studio episode can be found on West Springfield Public Access TV’s Channel 15 YouTube page. Watch it now! In Studio is a monthly show featuring opportunities, resources and inspirational stories from the Greater Western Massachusetts community and beyond. In Studio host Janine Fondon, a professor at Bay Path University, sat down with four wonderful guests: Amaad Rivera, a local State Representative candidate, Donna Haghighat, CEO of The Women’s Fund of Western Massachusetts, Michelle Moore, artist and animator, and Kathryn Taccone, co-founder of Open Pixel Studios, a local animation company.